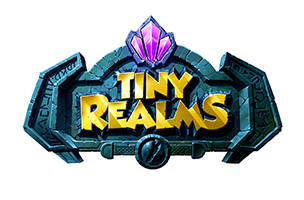 TinyMob Games has unveiled its first mobile title, Tiny Realms. The fantasy real-time strategy game is set for release on iPhone and iPad later this year, and asks players to build and control their own kingdom, assembling armies to go to war against their enemies. Built on the Unity engine, TinyMob aims to provide a ‘deeper gameplay’ experience with Tiny Realms than those found in other mobile RTS titles. In Tiny Realms, players choose one of three playable factions, and can create alliances (or not) with others. Once in battle, players will have direct control of their troops, allowing them to mix and match troop types into “Warbands,” and send those Warbands into battle with an individualized strategy. Elsewhere, TinyMob has revealed what it calls new ‘innovations’ for the genre, with a system that will see player actions impacting the way the rest of the game develops in the future. TinyMob is comprised of video game industry veterans, with experience at companies including Electronic Arts, Zynga and Microsoft Studios. We had a chance to chat with Creative Director Jamie Toghill about Tiny Realms, and how the company’s past experience has impacted the game’s development. Inside Mobile Apps: At first glance, Tiny Realms looks similar to many other strategy games that have popped up on the market in recent months. What has TinyMob done to make the game stand apart, and have long-term appeal for gamers? Jamie Toghill: Our focus is bringing real-time strategy elements that gamers love on PC and other platforms and delivering that with the accessibility of mobile gaming for a broad range of players. From the first time gamers play they will be able to tell very quickly this is a much deeper and engaging proposition than anything they’ve played before. We’ve introduced tactical control which enables players to direct the battles even after they’ve deployed their units. We’ve also designed it so that gamers are challenged to think strategically when building their defenses. We enable players to give their defending troops AI orders. As an asynchronous multiplayer game, troops will execute players’ orders depending on the placement and actions of invaders in your realm. On top of that, we’ve created a very deep non-linear single-player quest mode that features many different types of objectives and has an unfolding storyline. Another unique feature we have are three playable factions that players can play concurrently and each faction has unique units and characteristics that require mastery like classic real-time strategy games. IMA: Tiny Realms has been described as a “growing” experience, where player actions alter the way the game develops going forward. Can you explain how that will work? JT: We have created Tiny Realms to be a self-contained trilogy, like a movie franchise, and we’ll be revealing more and more of the world over time. We have a plan for the content of the game that actually stretches way beyond initial launch with a series of updates that will build on the mythology and lore of the universe we’ve created, including introducing new playable events. Launch is part one of this trilogy which introduces players to Tiny Realms, it’s many factions and backstory. At the get-go players will be able to see the more they play the greater the impact they will have within Tiny Realms, not only for themselves but for other players. And this is a key ingredient in how we wanted to create a persistent universe for the players, something that they haven’t seen in other mobile strategy games. We don’t want to give away the whole surprise at this stage but we’re very excited to get this out there in front of players very soon.